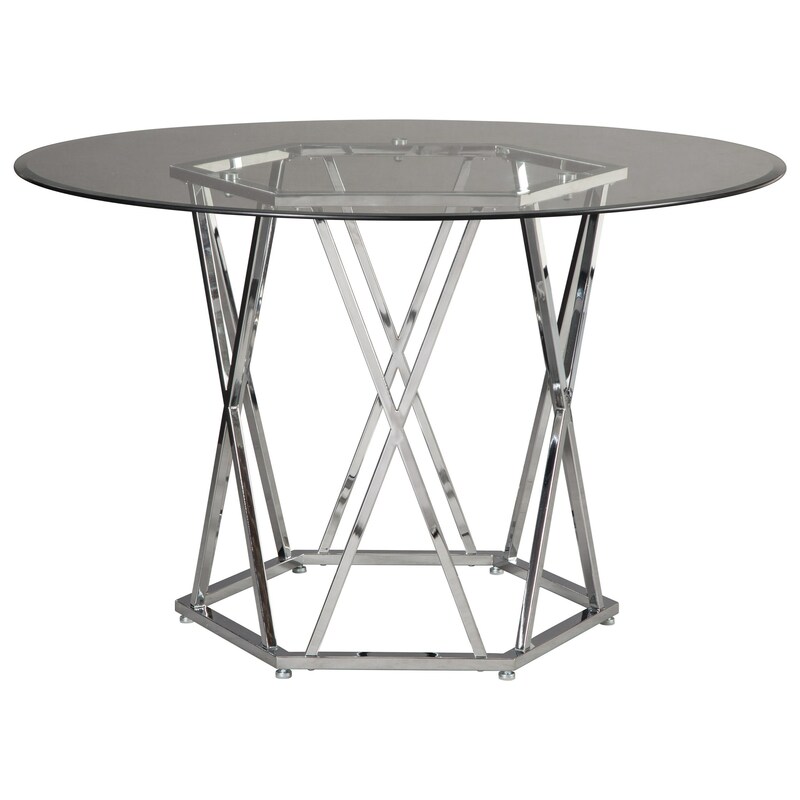 Make the centerpiece of your dining space a contemporary one with this geometrically designed table. The smooth, round shape of the glass table top complements the crisp, metal lines of the hexagon shaped base and intersecting table supports. The circular shape also creates an intimate dining space that makes it easy for you and your company to converse and interact. The Madanere Contemporary Round Dining Room Table with Glass Top by Signature Design by Ashley at Household Furniture in the El Paso & Horizon City, TX area. Product availability may vary. Contact us for the most current availability on this product.